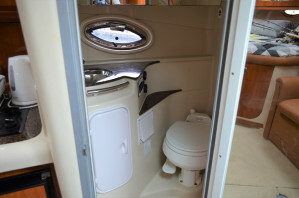 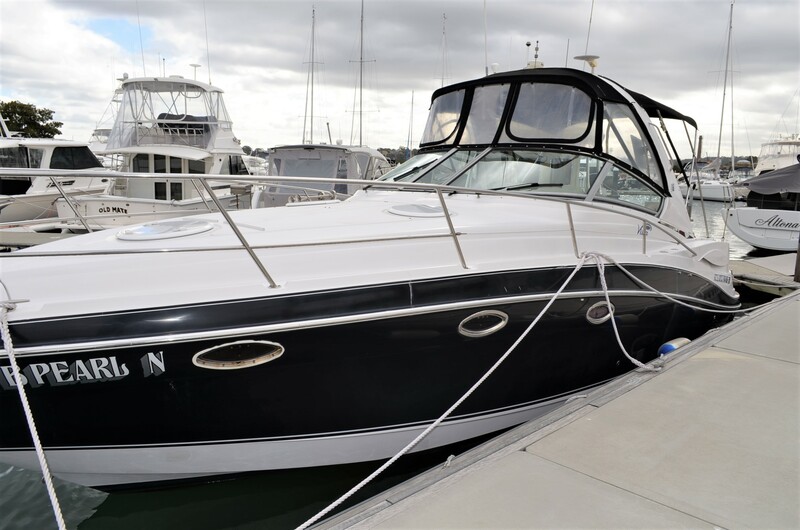 A sensational American built sports cruiser that not only has excellent seakindliness, but sizzling performance, comfortable and grand accommodation, and a huge boarding platform perfect for those lazy days at anchor at the idyllic swimming hole. 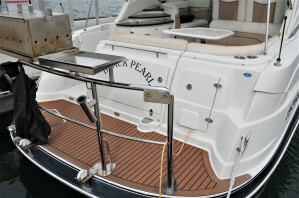 The Four Winns brand is renowned for its high end finishes and superior quality. 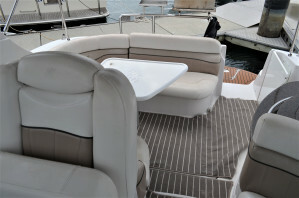 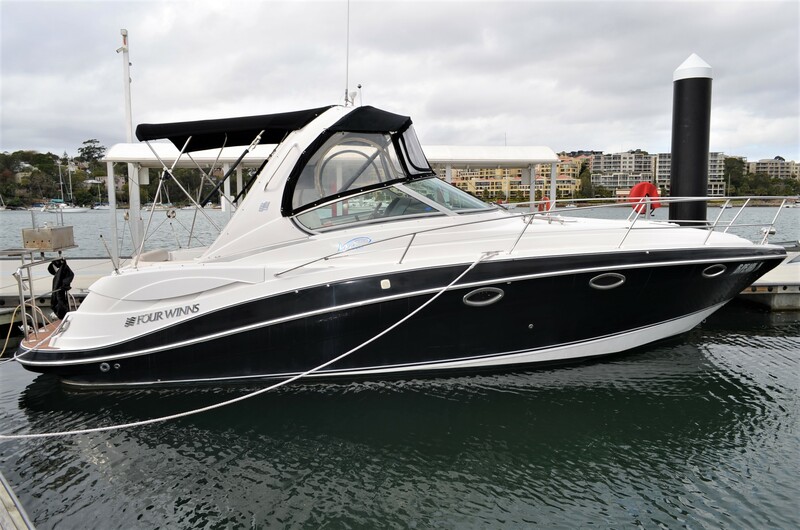 With a deep vee hull that makes easy work of choppy conditions, and being powered by twin 260hp Mercruisers, you have a performance sports cruiser that can easily cope with offshore jaunts to neighbouring coves, and all in style and comfort. 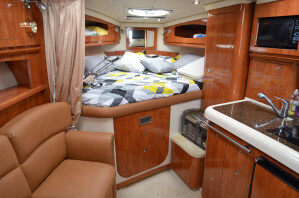 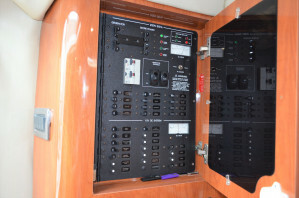 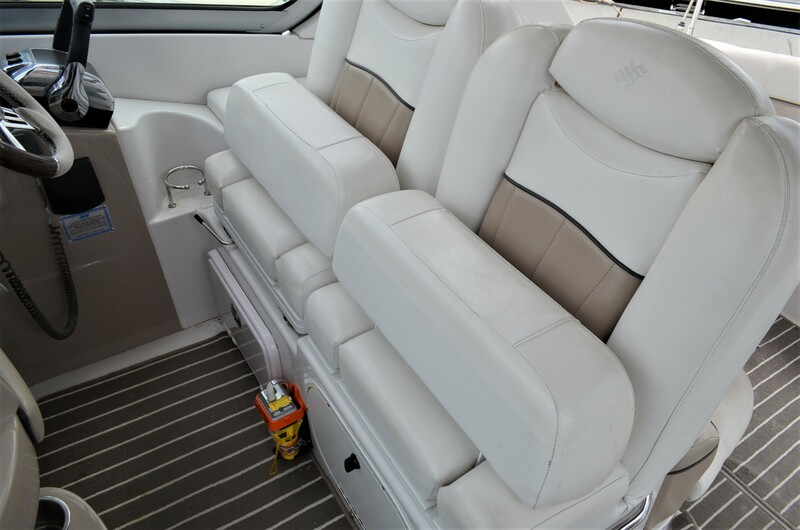 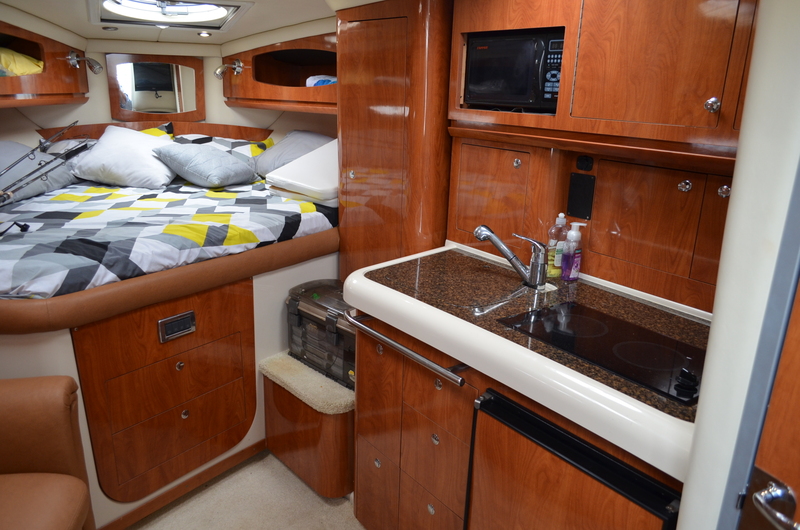 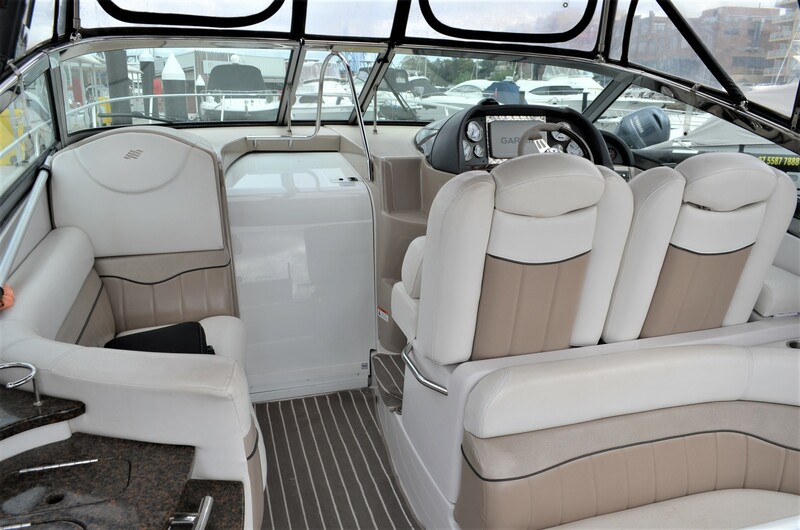 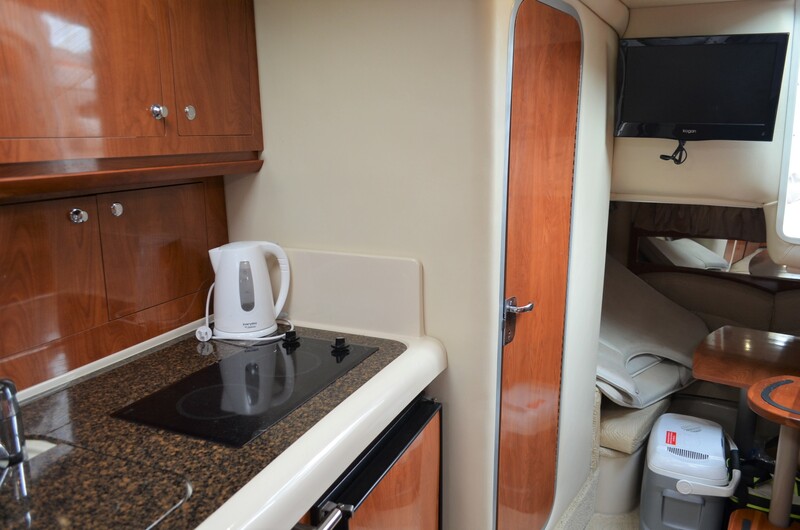 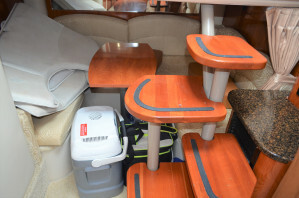 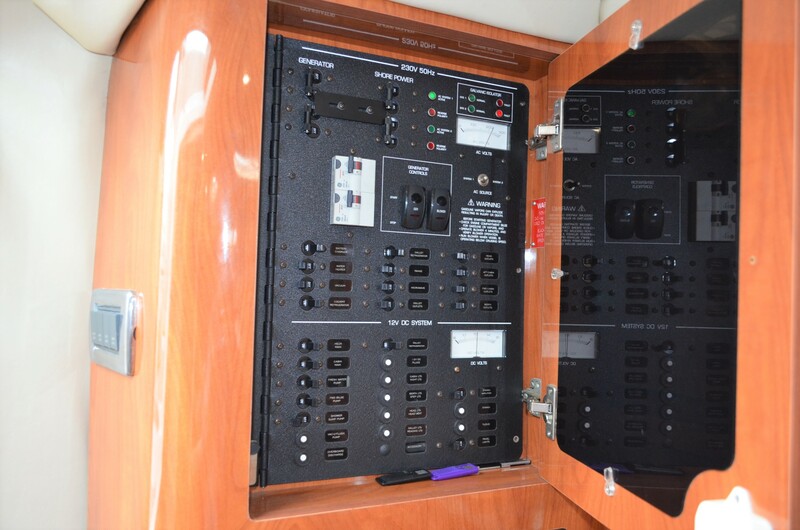 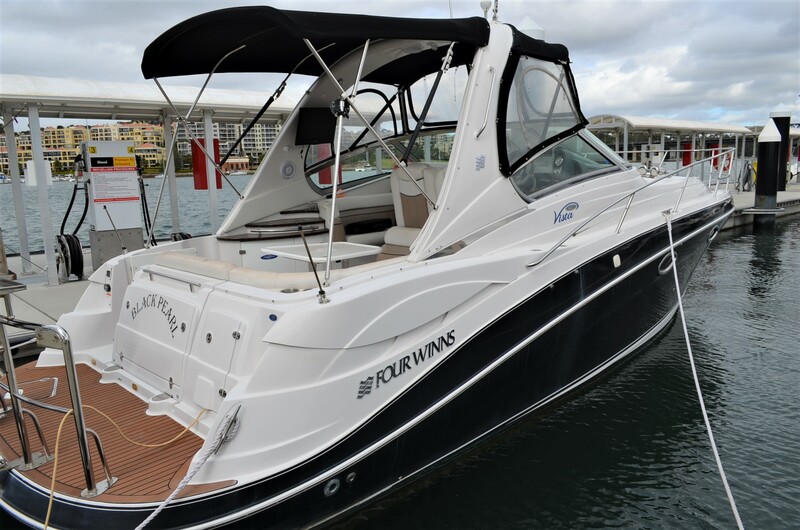 A perfect family cruiser boasting a genset, airconditioning, electric BBQ, two tvs, a new Garmin GPS/Plotter and even bowthrusters for easier marina manoeuvring, she is definitely worth closer inspection if you are considering Searay, Riviera, Regal, or Bayliner and the like. 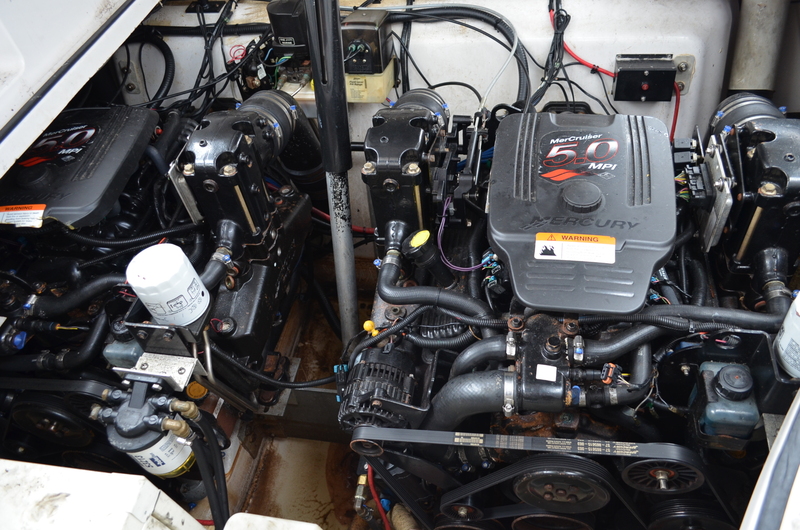 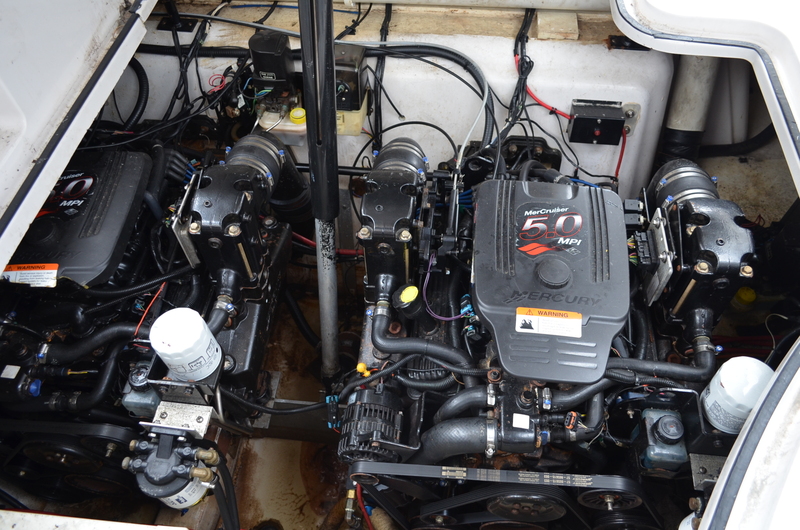 A recent antifoul, service and with the manifolds and risers, together with new batteries only being done two years ago, she is very much a turnkey proposition. 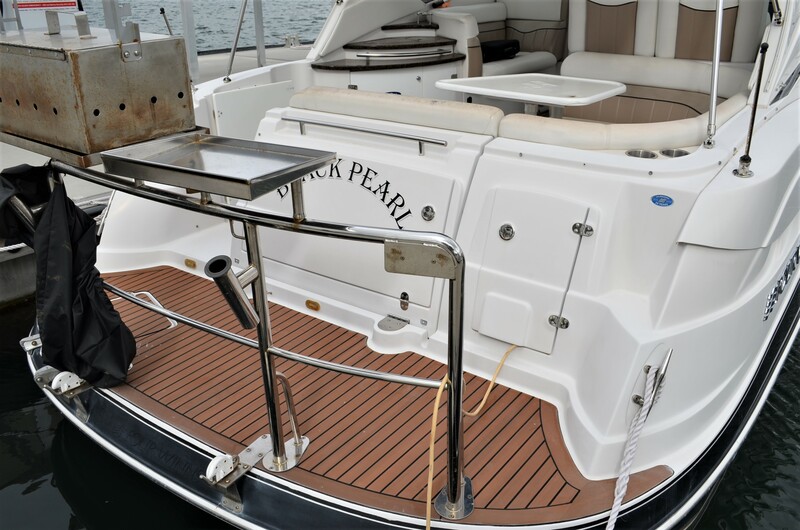 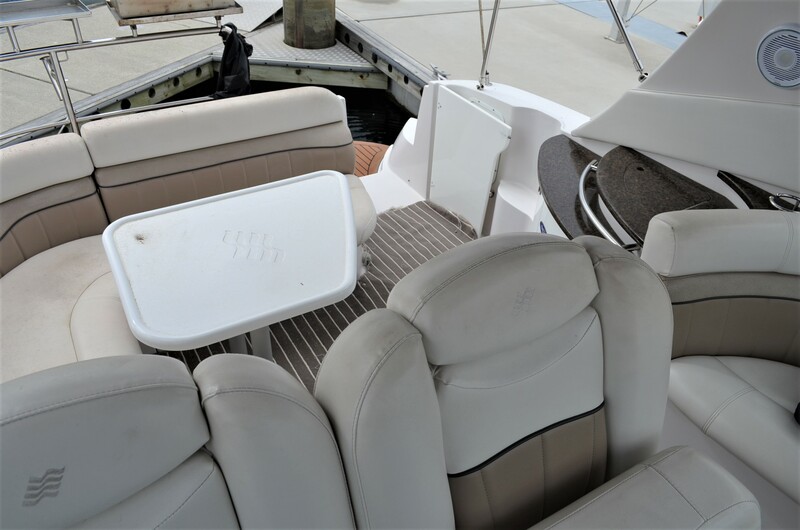 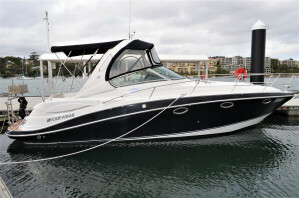 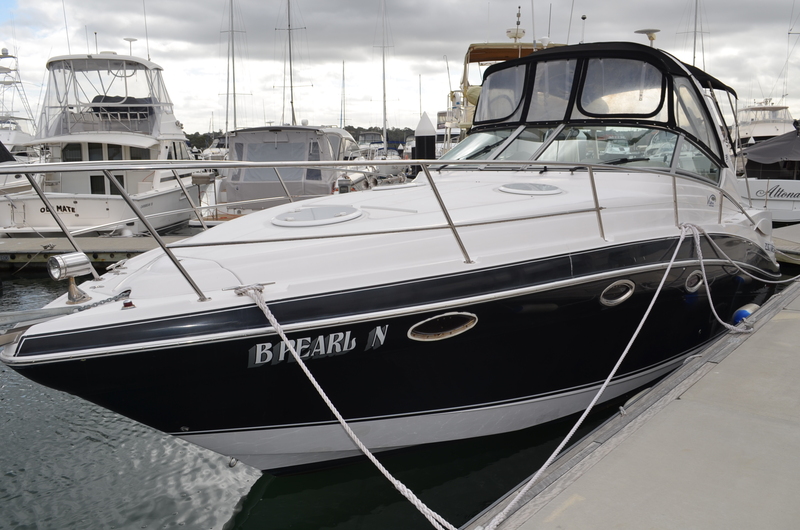 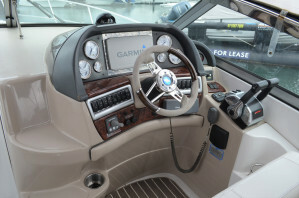 Give the best boat brokers in Sydney a call to arrange a private inspection of this fine craft. We are available 7 days by appointment for your convenience.